More than two dozens cars in Berkeley last week were marred by spray paint or had their tires slashed during an apparent vandalism spree, according to police. The wave of vandalism on June 27 and 28 targeted vehicles parked near UC Berkeley's Memorial Stadium, and police believe the cases may be related. The first reports of vandalism came in just before 7 a.m. on June 28, according to police. A victim called police to notify them that his car, other cars and gates in the area around the 2400 block of Hillside Avenue had been tarnished by spray paint. A total of 13 victims suffered some form of graffiti damage to their property. 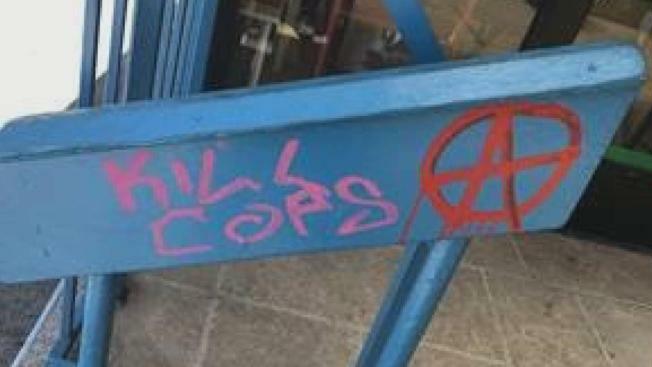 Among the vandalism included the phrase "Kill Cops" sprayed on what appears to be stair railing somewhere in the neighborhood. 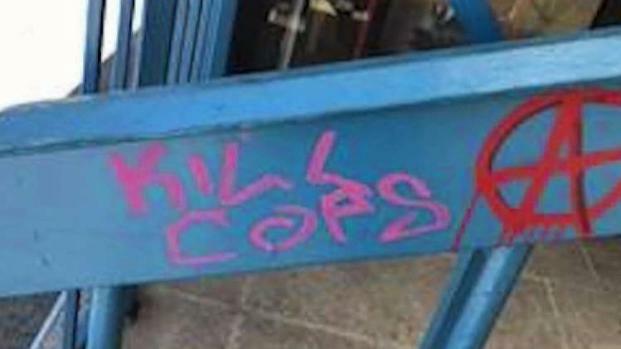 The words "kill cops" were recently found spray painted in Berkeley, and police are asking the public to provide them with any helpful information regarding potential vandals. Roughly two hours later, multiple people along the 2300 block of Prospect Street called police after finding that their tires had been slashed. Ten cars were initially found to be harmed until police later learned that seven more vehicles along the 2400 block of Prospect Street had their tires punctured as well. Based on the proximity of the vandalism reports and the brief window in which they came in, police believe the cases could be connected. Anyone with information or surveillance footage is asked to contact Berkeley Police Department Detective Josh Smith at 510-981-5737.